Shan Computers is one of the renowned data recovery services across the region. We excel in providing the best recovery solution for Hard disk, RAID disk, Laptop and other Removable media storage devices. 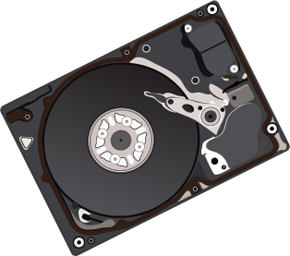 Our experienced and hard working engineers work 24 hours a day to restore and recover data. Shan Computers is working on all types of storage media for recovery of lost data. We have a dedicated recovery team which is making the best use of high-tech and state-of-the-art data recovery techniques. 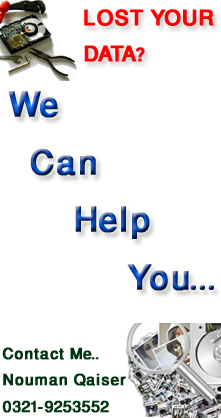 We offer a reliable, satisfactory, fast and cost effective data restore service. When the data seems to be in great danger of loss and there are slim chances of recovery then Data Recovery Pakistan would be the one to catch you falling from the edge. You need to have a safe and sound hardware infrastructure to support all your software related requirements. With heavy Operating systems and big software packages, your machines need to be up to date and perform faster. Proper maintenance and upgrades of your computer hardware is essential from time to time. We take this opportunity to introduce “Shan Computer” and ourselves to you in the hope that it would inspire our business association. Shan Computer was established in November’ 2002, and by the grace of God it has emerged one of the fast growing firms of Computer, printers, consumable parts, networking, accessories, peripherals supply and service provider.